Scott was born in Charlotte, North Carolina, and raised in Hickory, North Carolina. He attended the University of North Carolina at Chapel Hill and graduated in 1989 with a Bachelor of Arts Degree in Economics. He then attended Campbell University School of Law and graduated in 1992. He joined Sigmon Clark in 1992. The major focus of Scott’s practice is in the area of Domestic Relations/Family Law, and he has represented clients from various states in this area of law. Scott also handles litigation cases in the area of civil litigation and criminal law. Scott has been active with the Hickory Recreation Department, coaching various youth athletic teams. He created and managed the Hickory Hurricanes, Inc., a non-profit youth baseball organization that runs multiple baseball teams for various age groups. Hickory Hurricane teams have won National and State baseball tournaments. Scott actively supports the Hickory High School athletic program and the American Legion Post 48 baseball program. Scott is also a member of Corinth Reformed Church. Scott is a member of the North Carolina State Bar, the North Carolina Bar Association, the Catawba County Bar Association, the 25th Judicial Bar Association , and the North Carolina Advocates of Justice. 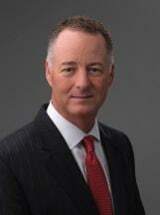 He has practiced in all trial court levels of North Carolina, the North Carolina Court of Appeals, the North Carolina Supreme Court, and the United States District Court for the Western District of North Carolina.